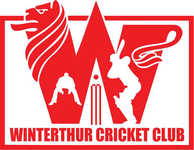 Winterthur Cricket Club were unable to continue their winning ways in their Pickwick Twenty20 opener against Nomads at Buchholz on Sunday 21st June, losing the game by 9 wkts. Following the club winning the Zuoz Festival just 7 days before, even the weather couldn't dampen the players & fans optimism ahead of the club's first Pickwick Twenty20 challenge. And the day started well after WCC captain, Tom Mampilly won the toss and decided to bat after a delayed start due to rain. Rahul and Jagath were charged with opening the batting, getting off to a flying start after Rahul hit a straight six on the last ball of the first over. With the score at 28 off 3 overs, Winterthur were on the verge of taking control but abreak in play due to rain, appeared to spoil the opener's concentration. Immediately on returning to field, Nomad's Farid bowled Jagath (3) in the fourth over. Rahul (19) followed, run out in the following over & causing the run rate to falter. Suddenly WCC were under pressure. 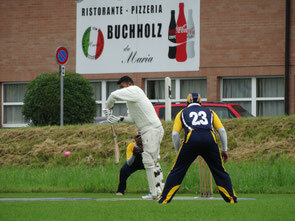 The two new batsman, Praful & Pip, tried to steady the innings, taking Winterthur to the 9th over before Praful (3) was bowled. Captain, Tom Mampilly, came to the crease to partner Pip, but just as they looked to push the score along, Pip (12) was bowled. An over later Tom (23) was back in the pavillion. With just 5 overs left and the team on just 83-5, it was left to the Winterthur tail to finish the job and set the opposition a defendable target. Unfortunately no-one was able to build an innings, Sara (10), Rod (3), Dipi (10); Mahmood (1) and Hasta (3) all losing their wickets in consecutive overs, leaving Vageesh Not Out for 0 on his debut and Winterthur 102 all out in their allotted 20 overs. After a short interval and with the sunshine making a welcome appearance, Winterthur required a tight bowling performance if they were to have any chance of defending the total. The Winterthur bowling attack of Rahul (2-0-34-0) and Jagath (2-0-28-1), never found their line & length and Nomads took immediate advantage with some agressive batting from Faheem (32*) and Wicky (56*). 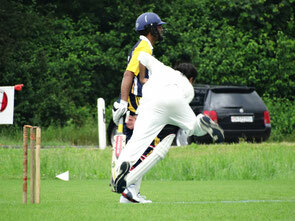 Ashwin (12) was the only Nomads casualty, bowled by Jagath in the 3rd over. Mahmood (2-0-28-0), didn't fair any better and Nomads reached the total in just 7.3 overs in Hasta's (0.3-0-12-0) first over to win by a very comfortable 9 wkts to go top of the Pickwick Twenty20 league table, with Winterthur languishing uncomfortably at the bottom.